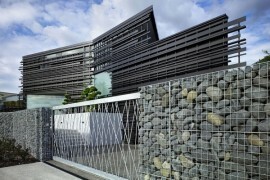 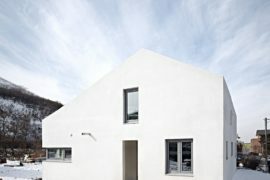 The street façade of an urban residence is generally what sets it apart from its neighbors in the most obvious fashion. 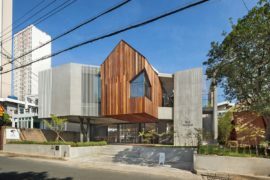 Sure, the interior and the backyard matter a whole lot as well, but it is the front elevation of the building that gives it a distinct identity in a setting where space is precious and one home seems to start where the previous one ends! 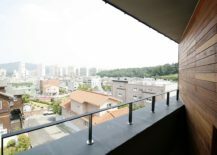 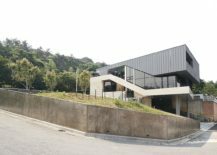 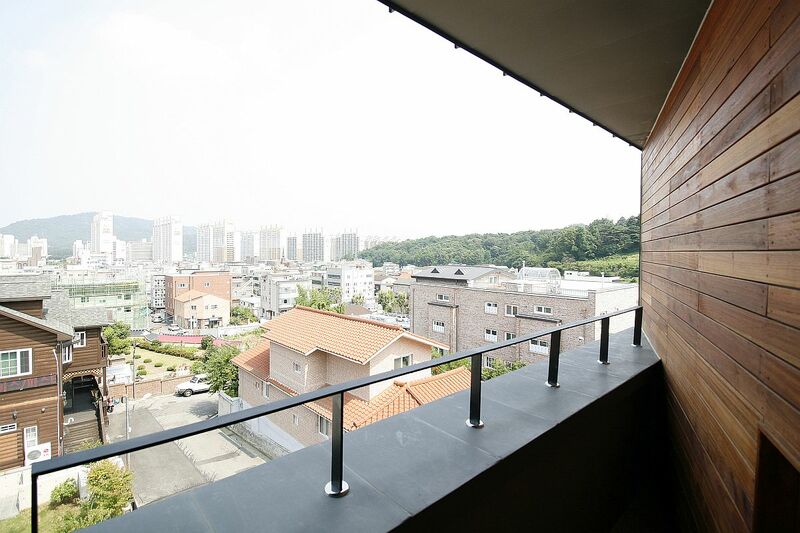 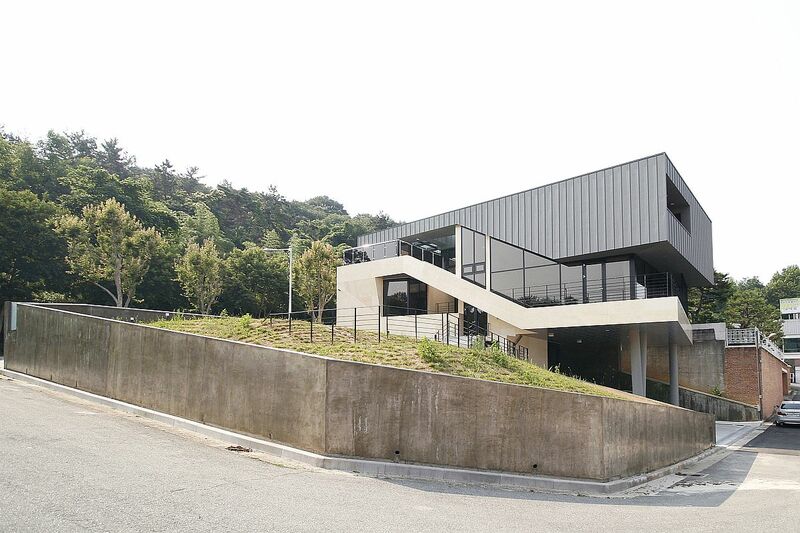 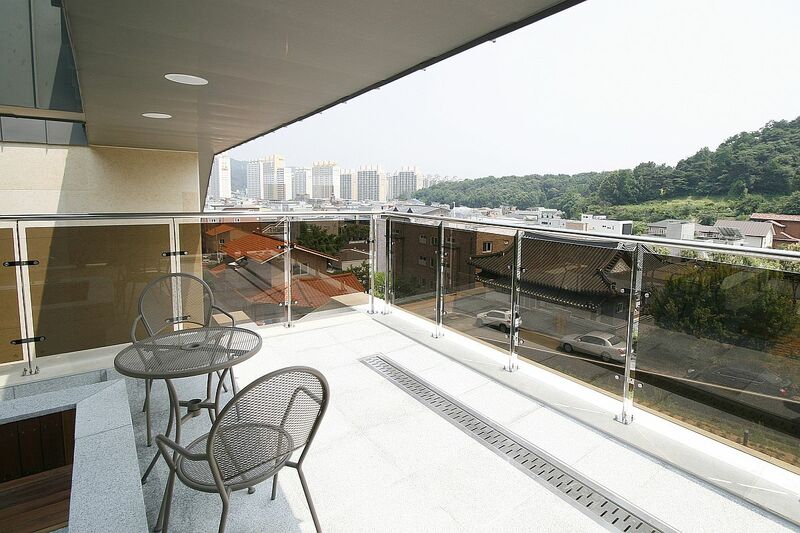 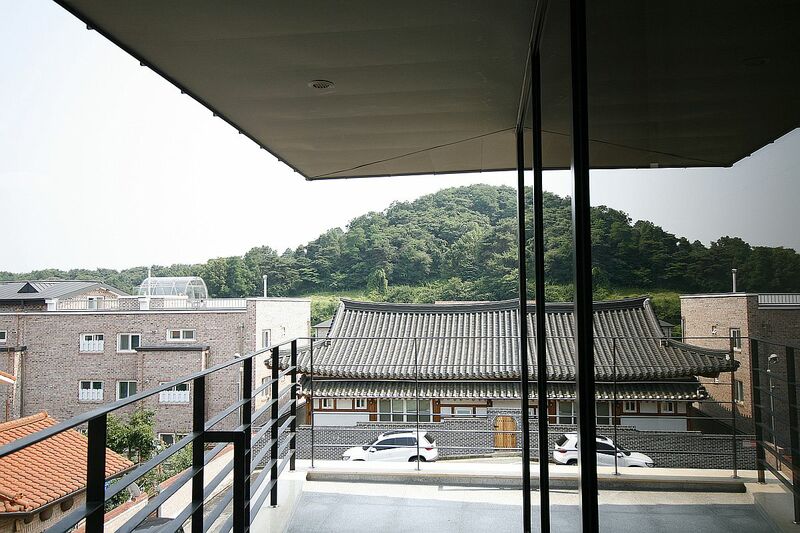 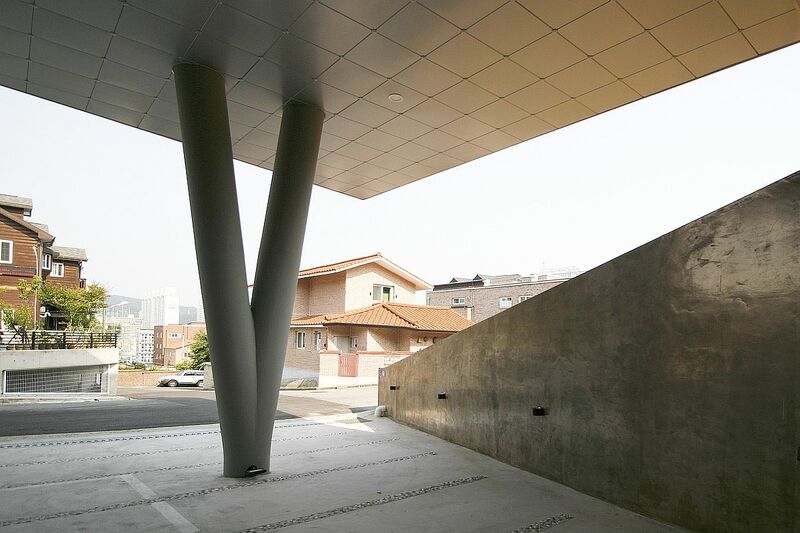 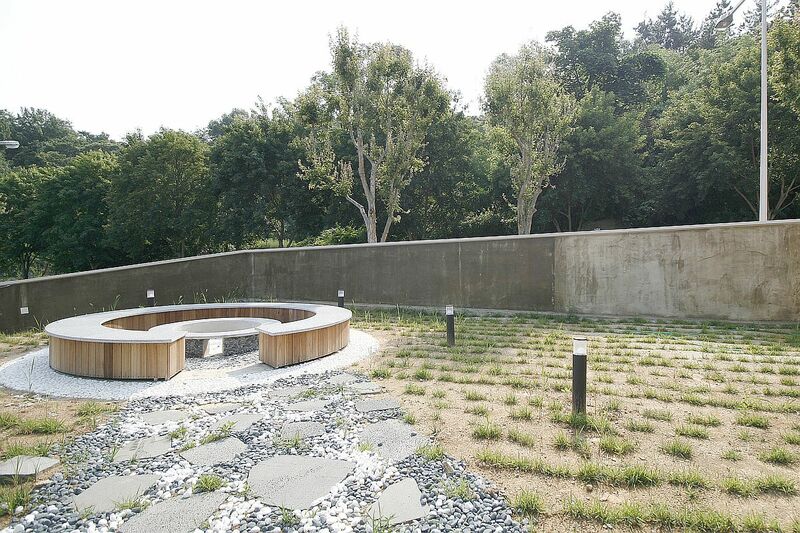 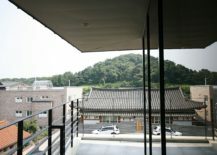 Nestled in the beautiful residential community of South Korea’s sixth largest city Gwangju, Floating-VI sure has a distinct identity of its own. 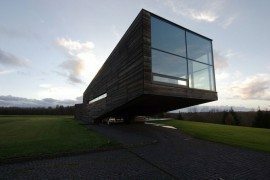 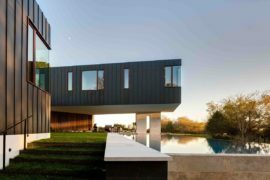 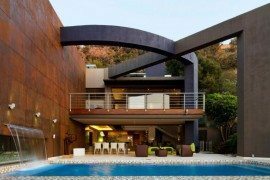 A cantilevered front section of the house that almost seems like it is defying gravity when viewed from certain angles welcomes you at this spacious family residence. 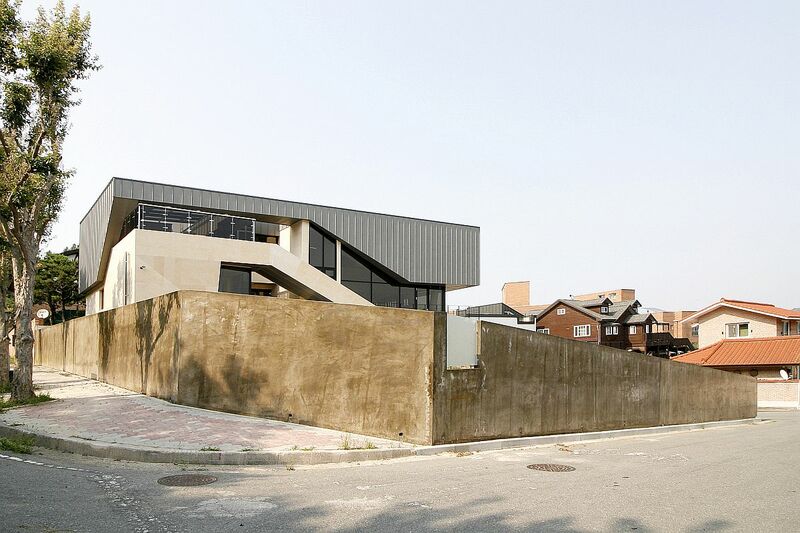 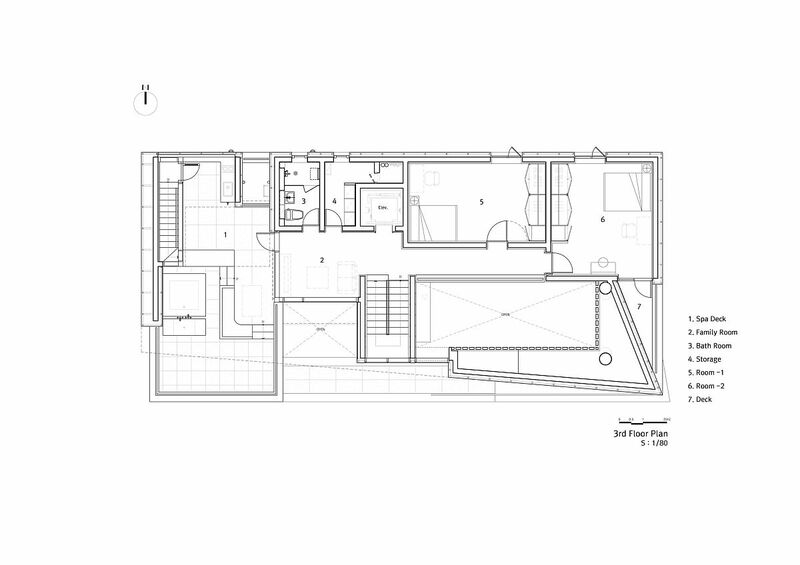 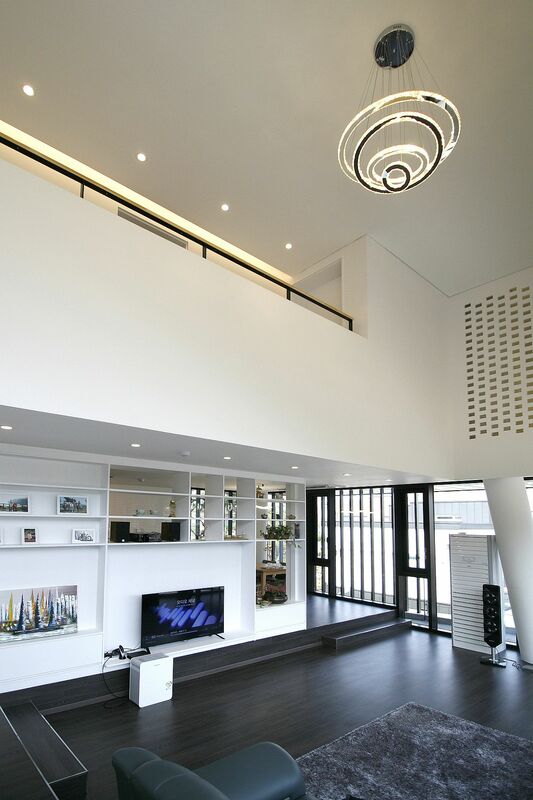 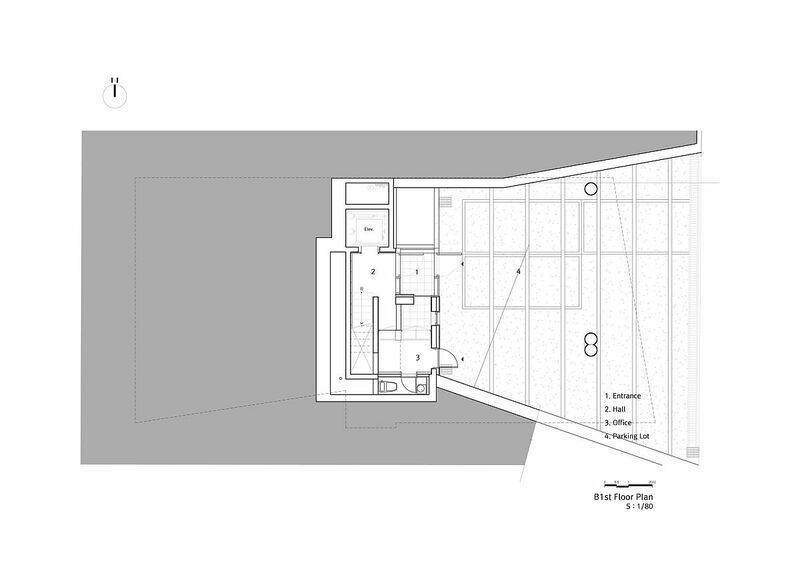 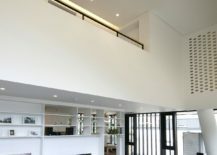 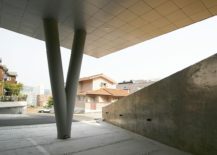 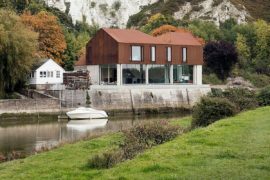 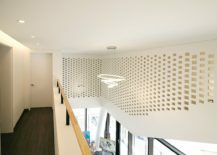 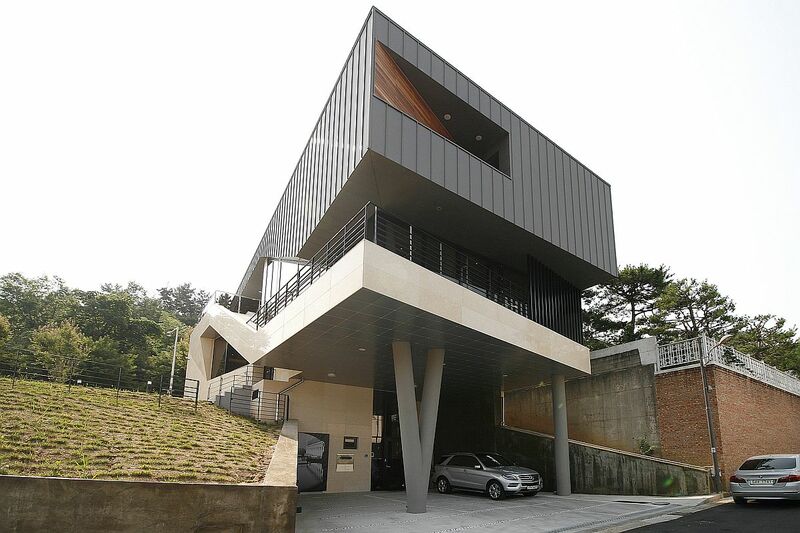 Designed by PLAN & HUMAN PLAN Architects office, the contemporary home is spread across three different levels, with the lowest floor housing the entrance, a spacious hall and a home office along with a large parking space. 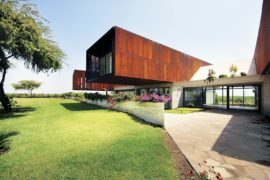 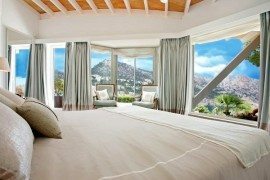 The second is in line with the large garden and spa outside and seems to interact with the outdoors in a seamless fashion, while it holds a family room, playroom and additional bedrooms on the inside. 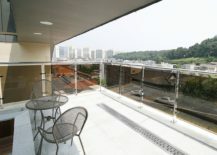 It is the top level, though, that is the real activity hub here, as it contains everything from the master bedroom and kids’ bedrooms to the kitchen, dining room, and an open living space that offers wonderful views of the city landscape. 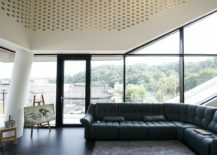 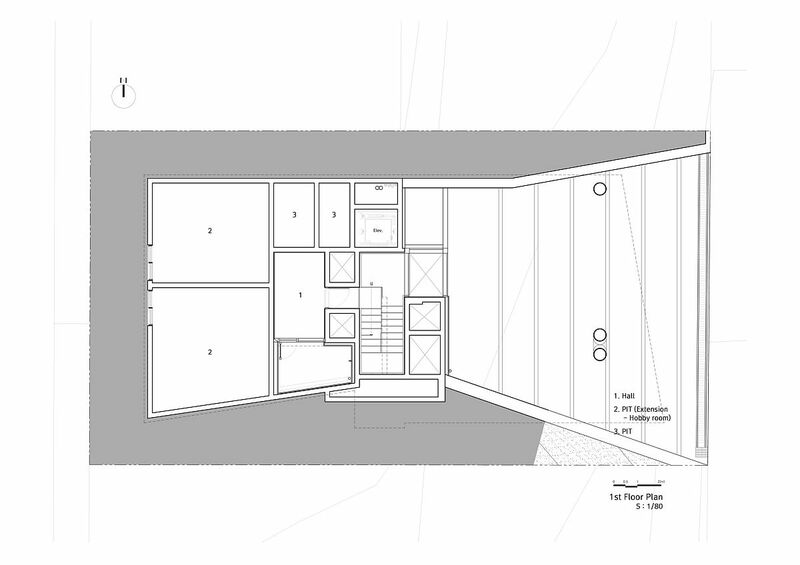 A series of balconies and cozy private nooks have been incorporated throughout the house to allow those inside to visually stay connected with the world outside at all times. 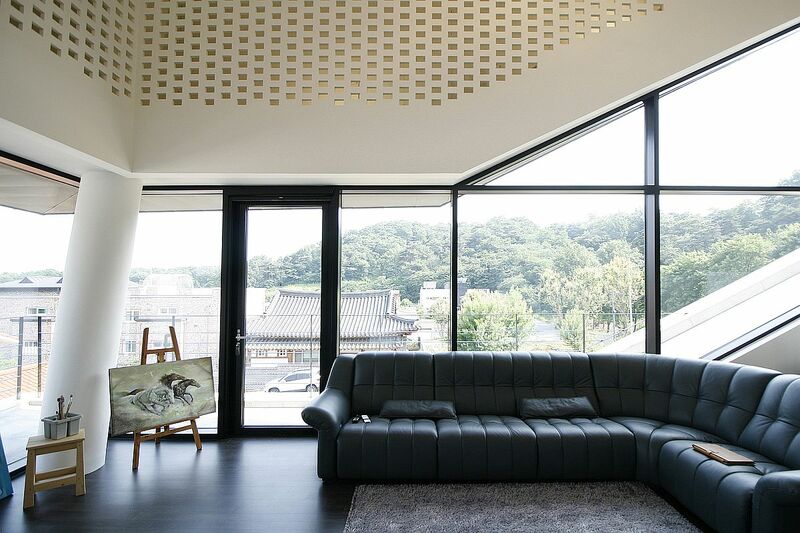 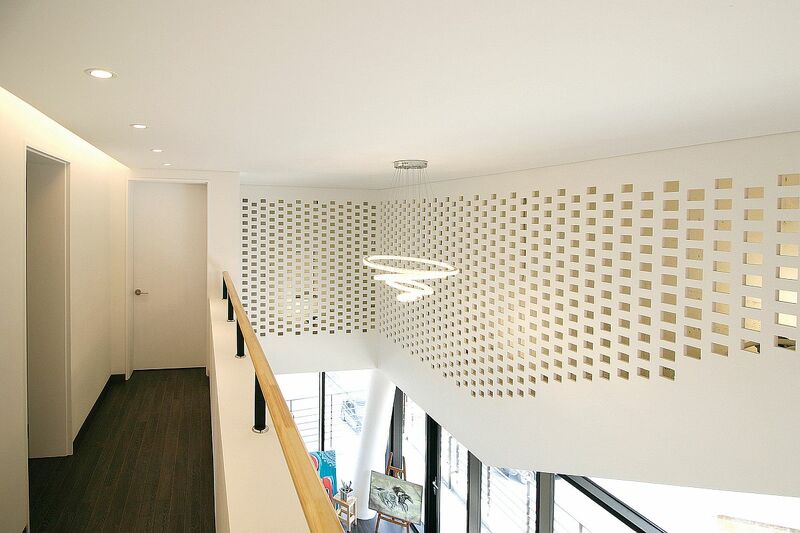 With a neutral color scheme, contemporary décor and smart modern lighting, this South Korean home keeps design simple, practical and elegant.